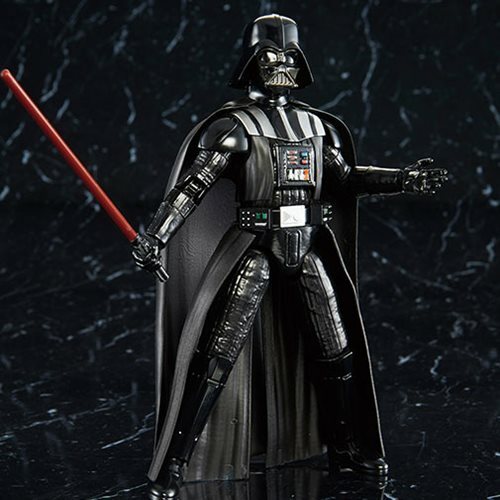 Based off Star Wars: Episode VI - Return of the Jedi comes this unmasked version of Darth Vader. This model utilizes the Triaxial Jet Finish and by popular demand has a cape recreated with soft plastic to increase posability. 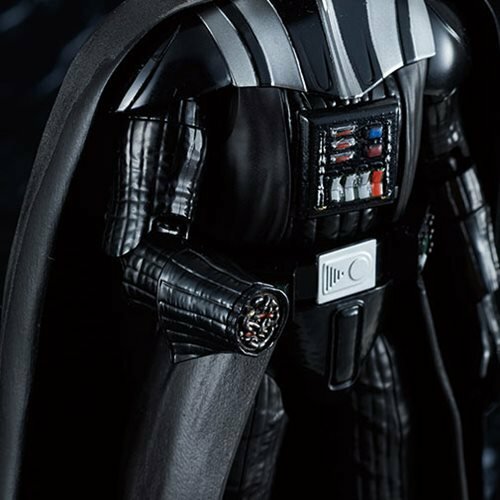 It comes with an alternate right arm with the hand cut off to reflect the fierce fight with Luke Skywalker. 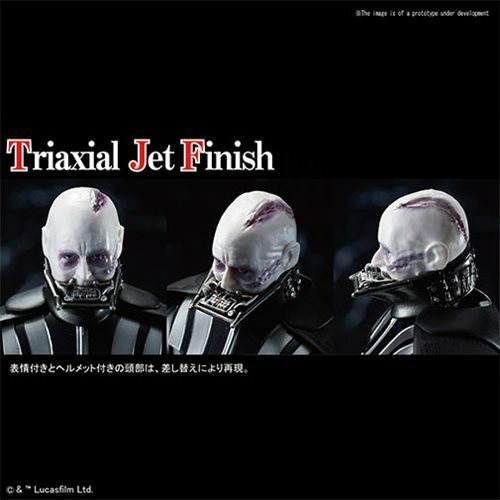 The chest parts have been recreated in a new molded design as well. 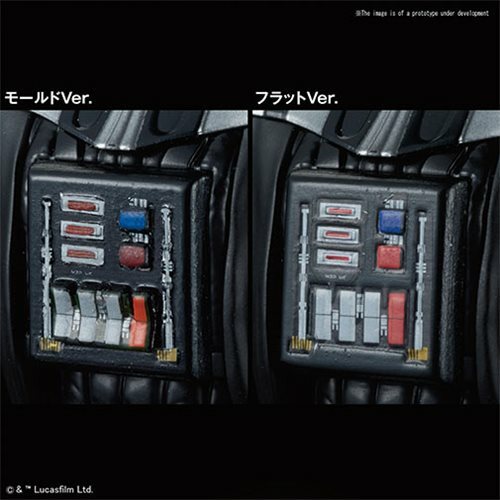 This is the ultimate Darth Vader model kit. 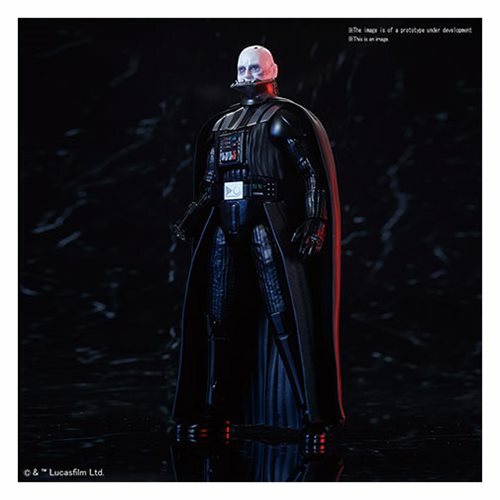 The Star Wars Return of the Jedi Darth Vader 1:12 Scale Plastic Model Kit includes 2x Darth Vader Face Parts, 2x Cape Parts (soft and hard cape), 1x Cut Off Right Hand, 2x Chest Panel (Mold Version and Flat Version), 2x Lightsaber (Hilt Version and Lightsaber Version), 5x Hand Parts, 9x Runners, 1x Sticker Sheet, 1x Water Slide Decals, and 1x Manual. Measures about 6-inches tall. Ages 15 and up.